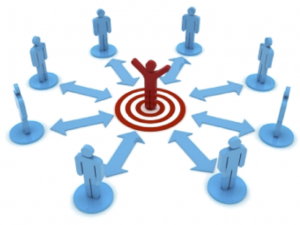 Imagine: Marketing yourself so effectively that you attract all the clients you can handle! "What Lisa teaches is essential for EVERY business"
"For the last 5 years, Lisa Cherney's Program has helped many of my VIP mastermind clients get pointed in the right direction quickly by teaching them to identify their ideal client and then to gather the perfect words to attract that client faster and with less effort. What Lisa teaches is essential for EVERY business and the best part is, she teaches it with heart and with the wisdom that comes from having tested it all out over and over again in her own super successful business!" 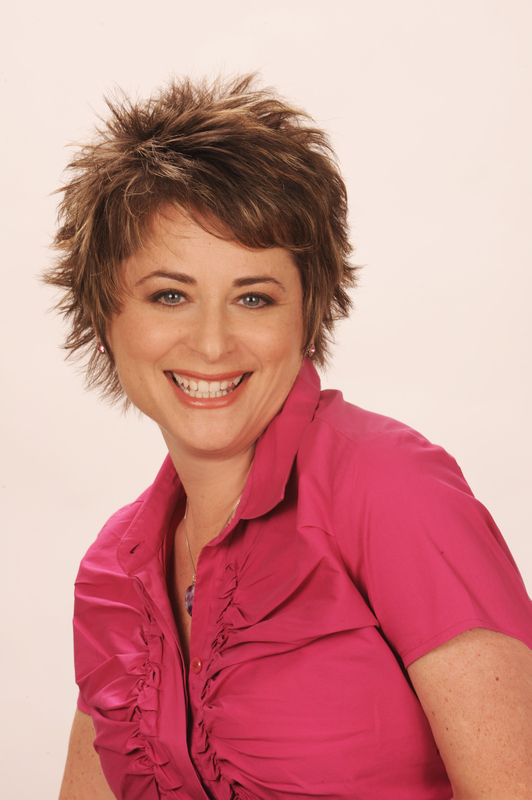 "Lisa helped me gain clarity to set up my business!" "This course has made all the difference in the world in helping me figure out how to lay out my plans to get my company up and running. The headline questions Lisa provided have been enormously helpful for me because they made me think in a very different way about what it is that people want from me and how they might need my help." 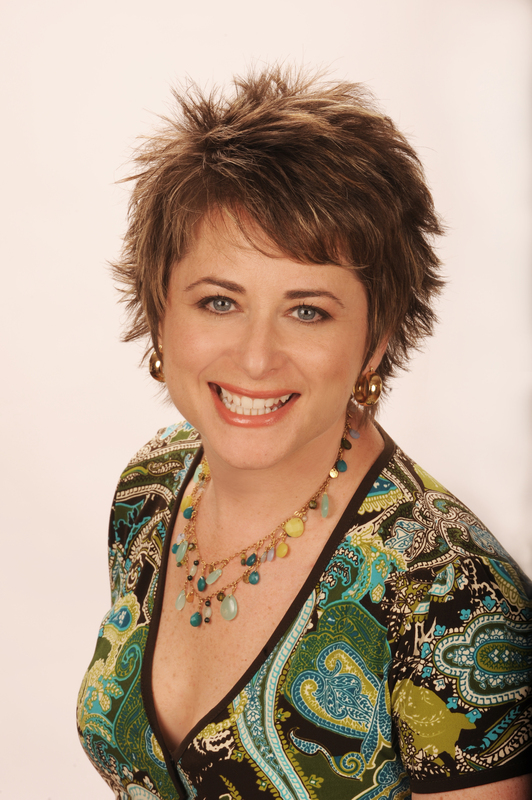 I’m Lisa Cherney, the Juicy Marketing Expert and Founder of Conscious Marketing. Over the years, I have worked with iconic brands like AT&T, Nissan and Lipton at top advertising agencies. I have also personally worked with 1000s of new and experienced business owners from at least 30 different industries. Kym Yancey, President of eWomenNetwork called her, “One of the most brilliant marketers I know!” Robert Allen, author of multiple New York Times bestsellers including The One-Minute Millionaire says, “Listen to everything Lisa Cherney says about marketing!” I’m known for my ability to cut through the hype and get to the heart of what my clients uniquely bring to the table. But my greatest accomplishment is having the courage to laser-focus my marketing (which means saying “no” to non-ideal clients) and tripling my income in 2009 while taking off Fridays and Mondays to be a mom. In 2010 Marketing Clarity was my top priority and I doubled her income again to over a half million dollars. And in 2012 I crossed the 7-Figure mark…still working part-time! But it wasn’t always like this. In fact, there was a time when I worked for the very worst boss around—ME! And it wasn’t until I implemented for myself this simple system where I was able to turn things around. By now you may be wondering: So, Lisa, what IS the number one, most important, most vital element to ALL my marketing efforts? And that’s exactly why I created the Cash Through Clarity™ Training Program. Throughout this training, I share the same methods with you that have worked for hundreds of my private clients over the last four years. You won’thave to struggle through this alone. This is NOT just another cookie-cutter info product, this is a FULL implementation program COMPLETE with online coaching in our Training Center. 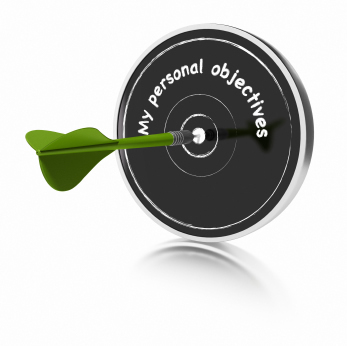 YOU get the personal attention and specific strategies to YOUR unique situation. Your business is different, so you should get the personalized help and support you need to make sure your marketing honors that difference AND gets you the results you’re looking for. "I am now SO clear...and already it is so good!" “What this process has given me is the ability to come up with the structure for my business. Before the class, I was sort of all over the map ... I knew what I wanted to do, but I didn't have the words to describe it. Now I do. I have the words and the business name and the structure and a clear idea of who my ideal clients are, and already it's so good. Even better is that I know it's going to be continually growing and developing and I love it! So, thank you Lisa." You don’t have to let go of your dreams because you need more income. You CAN find your authentic message, and I can help you do it. 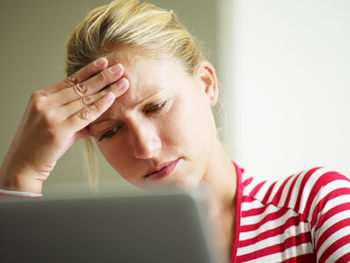 Diagnose and Cure Your "Multiple Ideal Client Personality Disorder"
Once And For All. Focus Gives You Freedom! This bonus training (that you will get right away upon reserving your spot) is designed to prepare you for our first call, "Claim 'Em." You'll hear me coaching my VIP Juicy Marketing Clients – what better way to introduce you to the complexity of this "Claim 'Em" process? So They Hear You & They Buy! Differentiate between Target Market, Niche, and Ideal Client—get this and you'll be streets ahead of your competition! 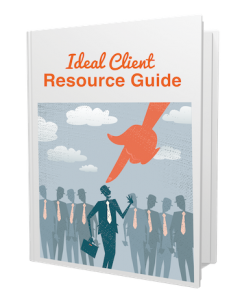 You can't find your ideal clients if you don't know exactly who they are… so let's find out! Finally, cure your Multiple Ideal Client Personality Disorder for good! Get down to the nitty gritty – who do you want to work with? Who do you NOT want to work with? And where to look to find your Ideal Clients? Get your answers, here. Create a quiz or assessment you can use on your business card, website and even when you're networking—this is a marketing Super Power as good as being able to read minds! 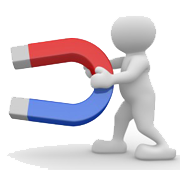 "Attract 'Em" Maximizer: HEADLINE QUESTIONS OF ATTRACTION FORMULA PROCESS™ containing my proven methods for creating headlines and titles that grab your Ideal Clients' attention and hold it, so you can put your juicy marketing magic to work. Confidently Express How You Help 'Em So You Charge What You're Worth! Find the courage and confidence to charge what you're worth (and more). No more discounting your fees -- you'll be able to start charging what you want AND your ideal clients will be happy to pay it! Get "full of yourself" so people believe you can create the outcome for them! "Help 'Em" Maximizer: THE WORDS TO GET PAID WHAT YOU'RE WORTH – The Juicy Benefits worksheet and guide will help you know exactly how to say the things that will attract your ideal clients by letting them know how you can help them, and exactly when and where to place your juicy benefits for maximum effect. This is the VERY thing that inspires people to invest in themselves through YOU! Strategize how you will show up there, in their hangout, and in such a way they won't be able to resist working with you! "Find 'Em" Maximizer 1: JUICY MARKETING STRATEGY WORKSHEETS step-by-step guide designed to help you locate your ideal clients and make a great entrance when you finally meet them – because a first impression really can make or break a relationship! "Find 'Em" Maximizer 2: 90-DAY MARKETING PLAN GUIDE so you know exactly how to create a plan to get you where you want to go. No more going in circles. You will know WHAT to do WHEN, how and why! See everything you've learned, in action. This 19-page report shows you real-life examples of exactly how other Juicy Grads have successfully put it all together in powerful, results-based marketing materials that get the job done. Examples of business card layouts, websites, marketing brochures, and materials using all of the Juicy Marketing Strategies you developed in the Cash Through Clarity Program. I got total clarity on my ideal client, which was absolutely critical. Instead of trying to be all things to all people, I could focus on those people I worked with best. Working with Lisa, I got clarity on a program name and a tagline that I love. Because I got focus, I could write copy that really pulled, and created an ebook that got 1000 opt-ins in 6 weeks, and that is still adding people to my list! So Lisa, this all sounds great but how are you going to teach me how to Claim, Help, Attract and Find my Ideal Clients? 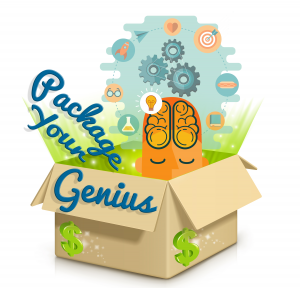 First, you’ll get access to ALL of the Cash Through Clarity Training Modules for a full 6 months so that you can move through the material at your own pace. and PERFECT Your 3 Intros! If you've struggled with the question "So what do you do?" then this call is EXACTLY what you've been looking for! Imagine answering that question with confidence and clarity every time in any setting (rather than hating that question and always finding yourself stammering out an answer). Come home from any event, dinner, conference, or trip to the store with leads for potential new clients because people will instantly "get" what you do and how you can help them in just 30 seconds! You will hear things like, "Wow, my sister totally needs you, can I have your card?" or "My clients have been asking me for that exact thing, can I have your card?" or "I was just telling my husband I need help with that, can we talk tomorrow? Instantly get out of your head and into your heart where your juicy words live. If you've had trouble in the past finding that place where juicy words live, this will get you there. Until now, this exclusive meditation was only available if you were one of my VIP clients, but I've taken it out of the Conscious Marketing vault just for you. It will INSTANTLY get you out of your head and into your heart where your juicy words live. if you've had trouble in the past finding that place where juicy words live, this will get you there. It's truly a game changer. Sounds great Lisa! But what’s this going to cost me? And there’s no question you could make tens of thousands of dollars once you are attracting your Ideal Clients with your personalized Marketing Plan that works for you. My personal clients pay me thousands to work through this EXACT same system! But guess what? It’ not going to cost you thousands. For a limited time, you’ll only pay $997 (and I’ve even added a super-easy 3-payment plan to make it even easier to invest – but only for a limited time). But the best part is how easy it’s going to be for you to make your investment back. 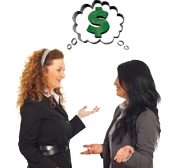 How many private clients will it take for you to make your $997 back? 3? 2? Or just 1? (If it’s more than that, then you REALLY need this program – we’ll help you raise your rates without losing clients… honest!) I can pretty much guarantee you’ll walk away with the MINIMUM of private clients you need to pay for this program, and probably sooner than you would think. Ask yourself this: Where will I be in three-six months time? Yes, Lisa! I am ready to gain Cash Through Clarity™, transform my business, and finally realize the success I’ve been dreaming about! Bonus #1 Juicy Introduction Clinic ($297 value) Recorded access to a special training where I will master the 30-Second Intro Formula™! 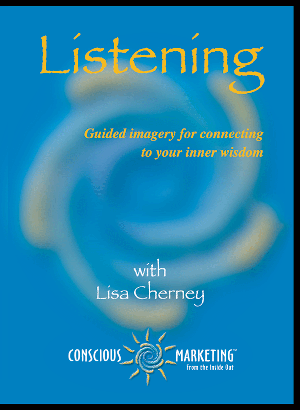 Bonus #4 "Listening" Guided Imagery Meditation ($197 value)Instantly get out of your head and into your heart where your juicy words live. If you've had trouble in the past finding that place where juicy words live, this will get you there. I see the total value with all the bonuses is $4,288. And, I’m completely covered by your Cast Iron Guarantee— If I don’t think this training is worth thousands of dollars after completing all the modules, and asking questions in the training center, then I can simply submit my completed worksheets and receive a full refund. P.P.S. Have questions? Please contact Lisa’s office… call (424) 265-8423 or Email for questions and the team will get back to you within 1 business day. A: A few things. 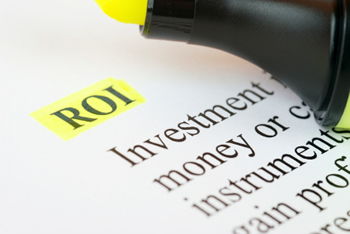 First off, because I start where no other marketing program starts — by helping you get clarity! (Without clarity NOTHING works). Second, because this is NOT just another information product. I’ve carefully designed it to give you EVERYTHING you need to succeed. I used to be a person who was really scared of marketing. Now, with Lisa's program, I feel so connected to it. I now feel pure and beautiful about putting my message out there. Marketing use to overwhelm me and now it feels easy! Amazing things began to happen before I even finished the program; I have a TV interview coming out, another interview with a magazine and I’ve already gotten six new Ideal Clients and have tripled my monthly income! Since working with Lisa, I now have clarity about whom I want to work with and that alone is attracting more and more clients. I have learned to own my value, connect with my brilliance and realize my contribution. Ever since I said, “Yes!” to working with you, it feels like I’ve fallen into God’s arms and I know I’ll be taken care of. Thanks Lisa! "Lisa helped me understand how to get the juicy benefit!" "I am just so thrilled that I took this course because I hate to write, I really do. I struggle with it and I was never able to write well about my product or my services because I didn't understand how to get the juicy benefit. Now I feel that what I am offering looks so much better now on paper and will help me get more sales in the long run. I am so glad I made the investment and I would highly recommend it to anyone who asked me about it." "Working with Lisa has Transformed Me!" “Not only did I get the result of clearly communicating in simple, effective, powerful ways what my business is, but Lisa's program was so much more. It transformed me. The process Lisa guided me through connected me to a deeper level of understanding myself, what I do and why I love it! Working with Lisa has transformed me. I own my contribution to the planet. People get what I do now because I am clearer inside and more enthusiastic than ever!" © 2019 Cash Through Clarity. All rights reserved.